South Korea has warned their northern neighbours will pay a “harsh price” if they conduct a planned rocket launch this month. North Korean officials informed two separate UN agencies of the planned launch, which is to take place sometime between 8-25th February. The militaries of both Japan and South Korea – along with the United States – believe the purpose of the launch is to test ballistic missile capabilities, and not as the North Koreans say to launch an “earth observation” satellite. December 2012 was the last time North Korea launched a long-range rocket, a mission that put an object it described as a “communications satellite” into space. Since then North Korea has carried out a fourth underground nuclear test. Officials from Pyongyang claimed that explosion of January 6th involved the testing of a hydrogen bomb. The diplomatic language from Japan and South Korea remains tough, and both say their militaries are on standby to deal with any threat. 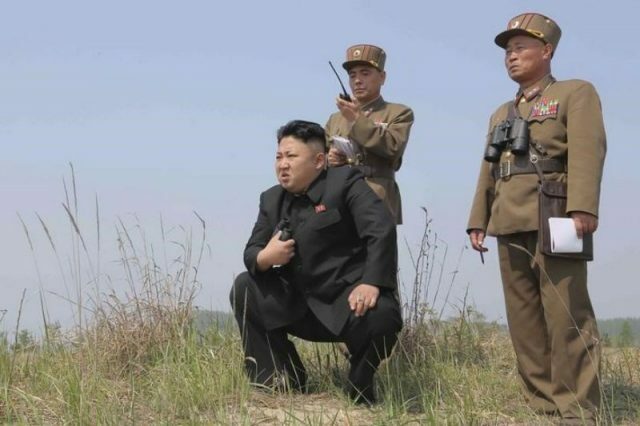 “North Korea’s notice of the plan to launch a long-range missile…is a direct challenge to the international community,” said a South Korean presidential statement. General Nakatani, Japanese Defence Minister, ordered the national Self Defence Force to shoot down any missiles to land in or fly over Japanese territorial waters. Experts suggest the launch may be an attempt by North Korea to improve rocket accuracy, and develop the ability to re-enter the atmosphere with a payload. The South, Japan and the United States, however, would also have an opportunity to test new hardware, should the North launch. A new trilateral rocket tracking system has been worked on, and could offer the capability to accurately observe a missile’s launch trajectory. Japan has referred to the upcoming launch as a “serious provocation.” The United States for its part has demanded more and tougher sanctions against North Korea, labelling the action as another serious breach of United Nations resolutions.